February 16 is the anniversary of the death of John William Gardner, the author of that quote. 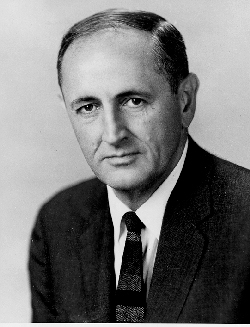 Gardner was Secretary of Health, Education, and Welfare in the late 1960’s, founder of two influential U.S. organizations (Common Cause and Independent Sector), and also the founder of two prestigious fellowship programs (The White House Fellowship and The John Gardner Fellowship at Stanford University). Gardner authored several books on improving leadership in American society. My favorite is called ‘Self-renewal: The individual and the innovative society’ in which he claims organizations must use innovation as a way of renewing themselves. If the organization instead defends status quo as a preservation method, the exact opposite will happen: “the institution will rot, not thrive”. One of the reasons why mature people are apt to learn less than young people is that they are willing to risk less. Learning is a risky business, and they do not like failure. In infancy, when the child is learning at a truly phenomenal rate—a rate he or she will never again achieve—he or she is also experiencing a shattering number of failures. […] See how little the failures discourage him or her. With each year that passes, he or she will be less blithe about failure. By adolescence the willingness of young people to risk failure has diminished greatly. By middle age most of us carry around in our heads a tremendous catalogue of things we have no intention of trying again because we tried them once and failed — or tried them once and did less well than our self-esteem demanded. Does appetite for risk really reduce with age? Here in Silicon Valley there is a commonly-held belief that all break-through start-ups come from people in their 20’s. Mark Zuckerberg famously once quipped, “Young people are just smarter,” although I think he meant less risk-averse. 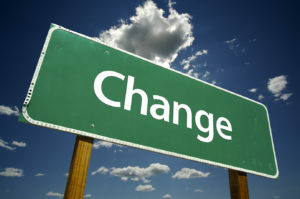 Lately I see signs this mentality is changing and an acknowledgement that innovation is an attitude, more than an age. Regardless, it’s a good reminder for me and my team. With experience comes wisdom but also inherent biases. We need to challenge our own assumptions and not just those of others. I’m re-instating a catchphrase I used earlier in my career: what got us here, won’t get us where we want to go. The OPPOSITE of this big catalogue of things people have no intention of doing may also be called “comfort zone”. People become less neutral and have more and more things that comfort them, but also which they don’t try out again. That leaves little space for experimentation over time. Failure! Why has failure become such a trendy subject? Have you experienced real failure? As a serial entrepreneur, failure hurts. It hits my wallet directly when my company loses a contract because someone I assigned gets creative. As an owner of a company providing bioengineering services to hospitals, when one of our bioengineers decides to try something new, it jeopardizes the patient’s life. Contracts are terminated. Careers end. Failure can be catastrophic. As a glider pilot, in the last year I rode an up-draft to 23,000+ feet, that I remember. I came-to at 14,000 feet in a steep dive going in excess of 180 mph 20 miles from my home port. Nothing untoward happened but nothing positive came from it. I could have jeopardized other pilots in the area but I put myself in the most vulnerable position. I won’t be doing that again without Oxygen. Frankly, it was stupid and not my right to jeopardize others. Sailing across the North Atlantic several years ago my more experienced ship-mate decided to run from an advancing storm. My experience said to “hove-to”. My ship-mate was unfamiliar with the technique and after 24 hours of running before the storm we were both exhausted and could barely manage. I took charge and rigged the sails to “hove-to”. The difference between tactics is amazing. I was determined I was not going to die because of his failure at proper seamanship. When you’re in a large enterprise-sized organization, you probably have budgets for trials and errors. Small entrepreneurs don’t have that luxury. I understand that as a start-up you’ll necessarily have to try different avenues and quickly pivot to what the customer finds value in. But, it’s become trendy to think of failure as some kind of hero’s journey. It isn’t. It’s a failure, you own it, you have to live with it, and it’s not easy. I asked my son what was his tolerance for failure. He said that as a Marine Corps fighter pilot if he failed he was either dead or no longer a Marine. He said they train and train and train and train not to fail. Why should anybody expect any thing less? D.C. and the pilot decides that he’s found a solution to the serpentine approach? Do you want to be on that plane? Why not? He’s got a 50-50 chance of making it and if he does, you and he make the newspapers. You’re risk tolerant, right? You encourage failure. What if your child is having open-heart surgery and the surgeon says, “We’ve got a new technique we’re going to try. It may fail but your child will better if we succeed.”. You’re cool with that right? What’s a little failure now and then. Those of you who write about failure forget about limits and constraints. You make it out as if those of us who are vigilant about failure are somehow intolerable ogres. Entrepreneurs are huge risk takers. We know all too well the effects of failure. If you’re so damn addicted to failure go buy some lottery tickets because you won’t be harming anybody but yourself. Thanks for your passionate reply. I’ve been involved with four startups; three-times I was the CEO. I failed many, many times. Yes, it hurt. A few times many of us went without paychecks. But in every case I learned a fundamental lesson which I believe made me better. Yes, the business world is different than the medical world, and flying airplanes, and maybe even the Marines. But it still applies in some measure — there are experimental drugs which may fail and cause severe consequences but without them the alternative is worse. If I’m in that situation, I believe I would choose the experimental drug. I don’t want people to fail all of the time. I’m not sure I want them ever to fail. But, at least in the business world (and even the startup world), I don’t want them to fear failure. And many people are paralyzed by failure and therefore always choose the safest option, even if it’s not the best option.